The Armenian Constitutional Court in session. (picture courtesy of news.am). 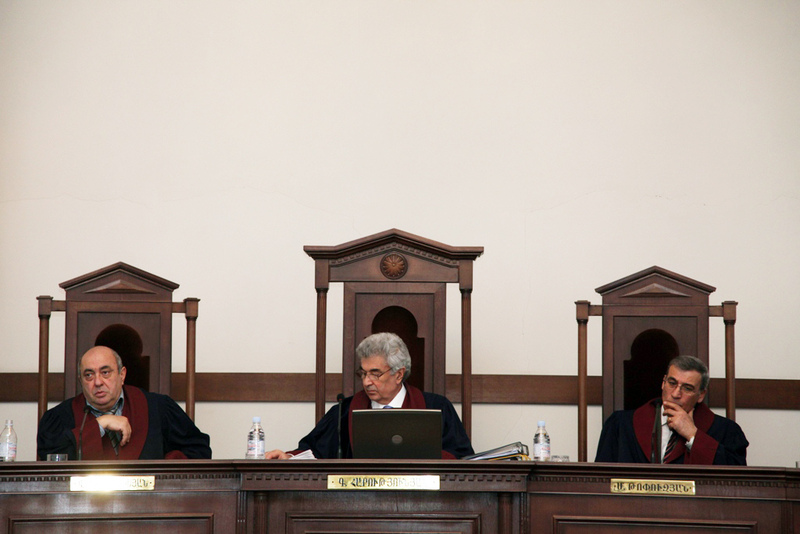 The Armenian Constitutional Court has started considering an appeal by Raffi Hovannisian and other contestants in last months’ presidential election to annul the result because of election fraud. is expected to give its judgment to the challenge to the election results by Thursday, 15 March when Hovannisian plans to hold another rally in Yerevan’s Liberty Square.